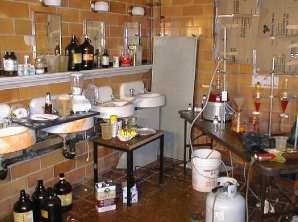 If a tenant has been using your property as a meth lab, law enforcement officers will often require you to find a licensed meth cleanup company to fix the damage. When your property has been vandalized or contaminated, call Skyline DKI for certified and licensed bio-hazard cleanup services. Properties that have been used as meth labs will often contain dangerous residues and chemicals that can cause health problems for anyone in the area. Regular scrubbing of the surfaces often won’t eliminate the residues like you would hope. That’s why you need the help of the meth lab cleaning professionals at Skyline DKI. Our team members will use specialized (and completely safe) equipment and chemicals to completely eliminate meth lab chemicals from floors, ceilings, walls, ventilation systems, and all other surfaces in the area. They will follow all appropriate safety procedures as they work to make your property safe. Trust Skyline DKI to provide complete and thorough biohazard cleanup services!